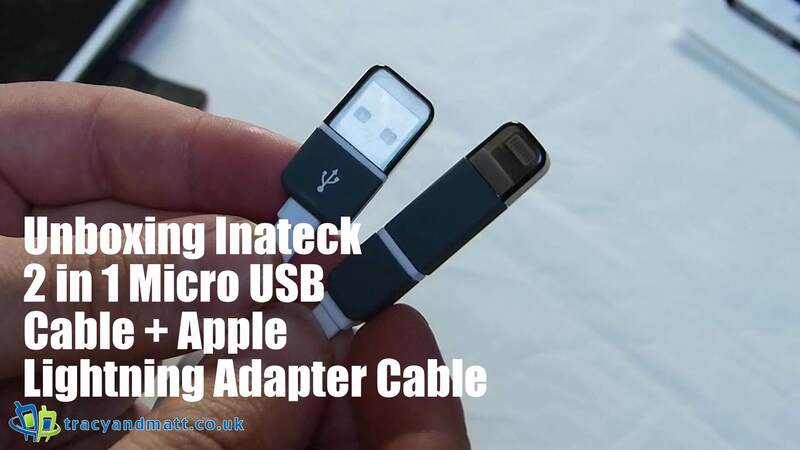 Inateck have provided us with a 2 in 1 Micro USB Cable + Apple Lightning Adapter Cable 1.2m (4ft.) This is ideal for charging your iPhone 6/ 5/ 5s/ 5c /iPad 4/ iPad air/ iPad mini mini2/ iPad 4th gen, whilst also providing a cable for a MicroUSB based device. The cap on the top can also slip onto any other MicroUSB cable in the event his cable, like so many Apple charge cable, doses. You can purchase from Amazon, here.